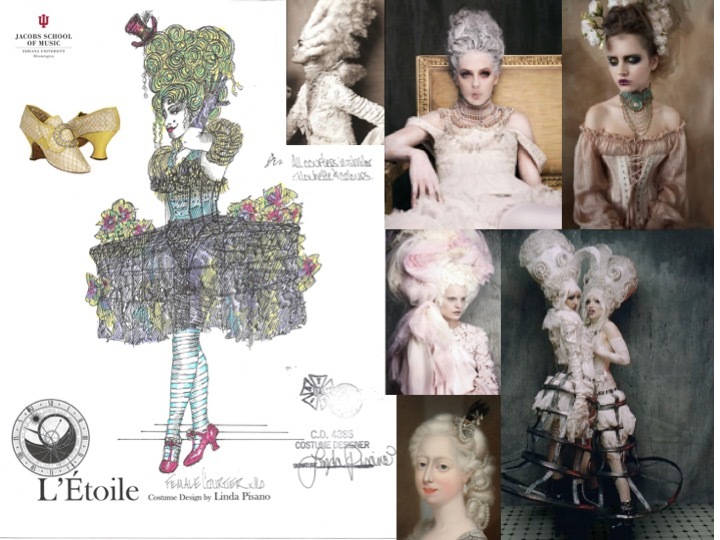 Page from my design production book. 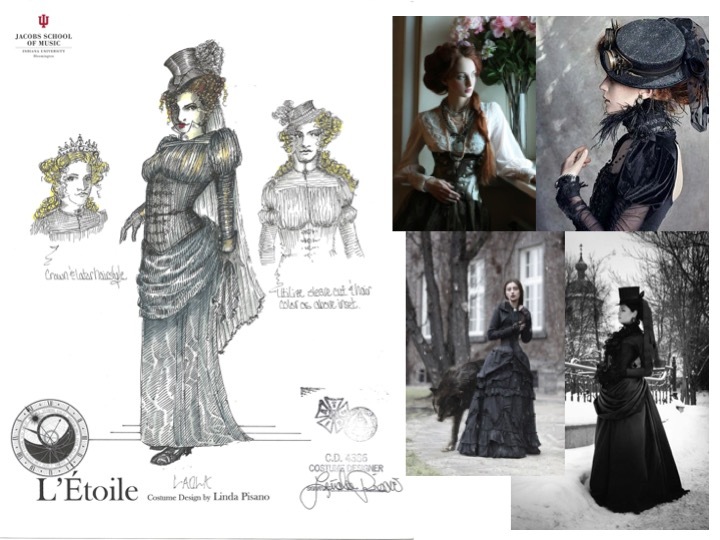 It includes costume rendering, working sketches, evocative research and fabric swatches. 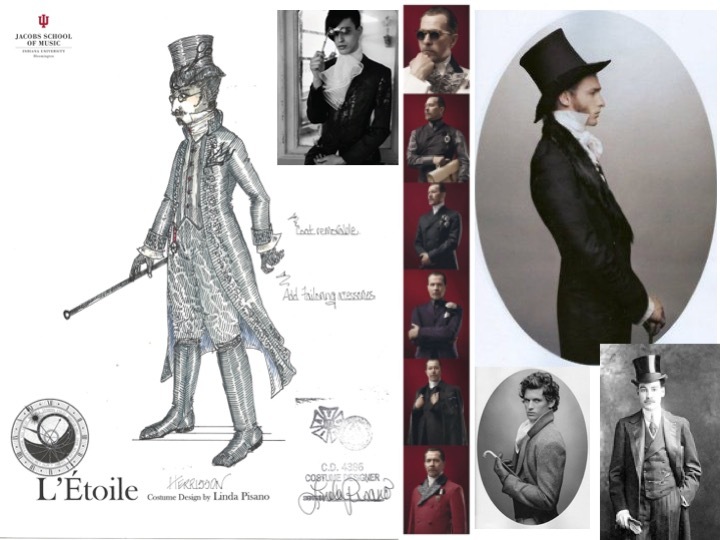 Alexis Emmanuel Chabrier’s French farce L’Étoile, with director Alain Gauthier and set designer Tim McMath. 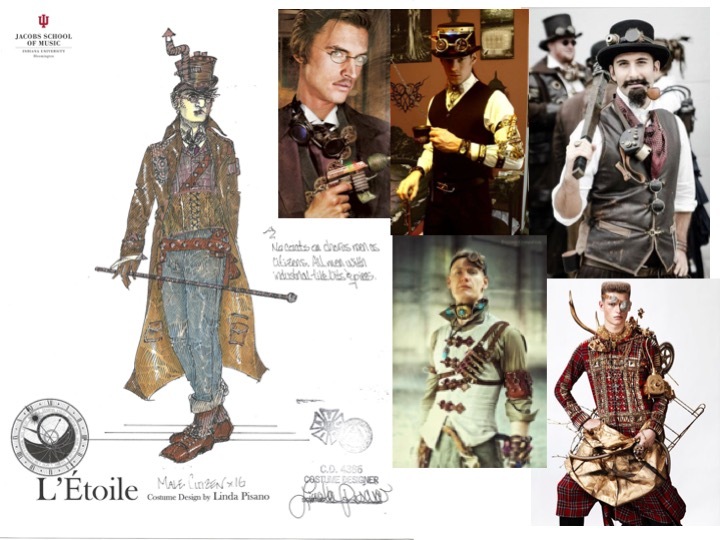 The director asked us to explore steampunk for this world. 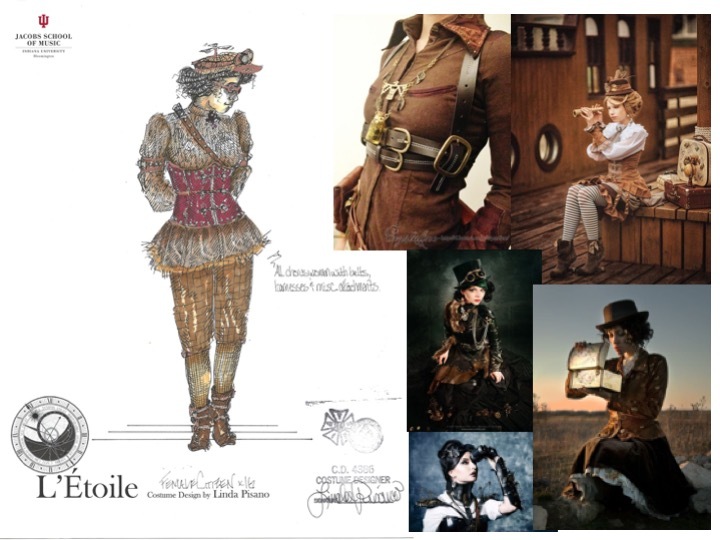 With a traditional steampunk aesthetic for the workers, the design brought in Baroque-punk for the courtiers and a Gothic steampunk for the outsiders who enter the kingdom in disguise. 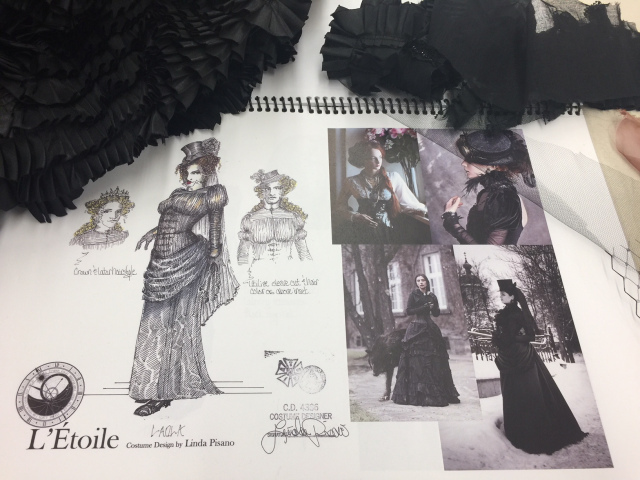 Each image below includes a page from my bound design book created for the artistic team and costume makers and includes inspirational research, a costume rendering and working sketches or detail drawings. Once fabric is sourced or created, swatches are placed in the book too.